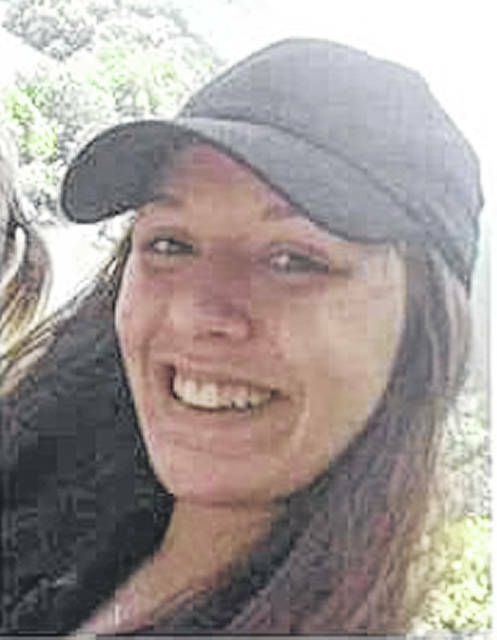 Lanessa Roosa, a 21-year-old Hillsboro woman who has reportedly been missing since Jan. 1 after she allegedly walked out of a hospital, fell from above the ceiling at a motel and took off into the woods, has officially been listed as a missing person. Highland County Sheriff Donnie Barrera said Roosa was listed as a missing person Wednesday, and that the Ohio Bureau of Criminal Identification and Investigation is now involved in the search. Roosa has a felony warrant out for her arrest from Highland County Common Pleas Court, and a misdemeanor warrant out for her arrest in Greenfield. According to a post on the Ohio Attorney General’s website, Roosa is listed as a white female, 5’3” and 147 pounds, with brown hair and brown eyes. The post says she was last seen on Jan. 1 at the Greystone Motel in Hillsboro. She was wearing a green shirt and blue leggings/jeans. Anyone with additional information or questions regarding the case is asked to contact Highland County Sheriff’s Office at 937-393-1421. The story of Roosa’s disappearance is an unusual one. It started in Greenfield on Dec. 31 when Roosa was arrested by Greenfield police officers after family members had been looking for her for three weeks, Roosa’s mother said. Roosa is the mother of a 2-year-old daughter. The series of events apparently began in Greenfield, after police officers there picked Roosa up on a warrant on Dec. 31 and took her to jail. Sometime the next day, Roosa allegedly complained of abdominal pains, was transported by life squad to Greenfield Area Medical Center, and according to her mother, Greenfield area resident Angela Jordan, later walked out of the hospital with her boyfriend. Roosa asked her boyfriend to take her to Highland District Hospital in Hillsboro, Jordan said, but on the way there she asked to go to the Greystone Motel first to rest and clean up. After the boyfriend dropped Roosa off, Jordan said he left to repair problems with his vehicle. Around 5 p.m. that evening, Jordan said she received a phone call from the boyfriend saying Roosa had crawled into a cubbyhole at the motel. As reported previously, Barrera told The Times-Gazette that at 5:15 p.m. on Jan. 1, his office received a call of criminal damaging at the Greystone. He said an officer arrived on the scene at 5:26 p.m., and after investigating, determined that Roosa had been crawling through the ductwork above motel rooms, fell through the ceiling, refused help from a man in the room she fell into, then took off into the woods near the motel. According to Barrera, the officer looked around the area for Roosa and talked to witnesses before clearing the scene at 5:42 p.m.
Barrera said that after clearing the scene, the investigating officer spent about 30 minutes driving around the area and asking local residents if they had seen a girl wearing a green shirt and blue leggings, but no one reported seeing her. The next day, Jordan said she, Roosa’s boyfriend, her dad and stepmother searched the woods around the hotel for about four hours, but did not find her. According to information posted on Facebook, Roosa has a tattoo of a pot leaf on her lower back, a butterfly tattoo on her upper right thigh, and a green and brown camouflage tattoo on her forearm. Anyone with a cell phone can leave an anonymous tip by texting HCSHERIFF and their message/tip to 847411 (tip411). Anonymous web tips can also be submitted on the sheriff’s office website at www.highlandcoso.com.